How will this popular nutrition practice impact ultimate players' athletic performance? For many ultimate teams, the night before a tournament weekend is a time to settle in to where you’re staying, relax with teammates, and grab a meal together. 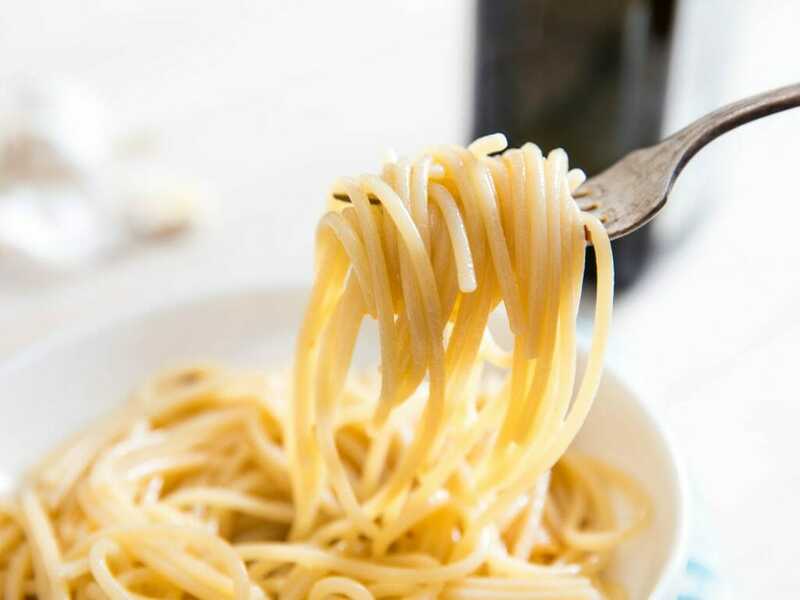 Often this will include a pasta dinner since it’s cheap, quick and easy to make for a large group, and falls into the appealing category of “carb loading,” which many athletes learned long ago to swear by as a means to fuel your body for a weekend of exertion. But is carb loading actually a boon for your body? In the 1960s, a Swedish physiologist, Gunvar Ahlborg, discovered that carbohydrates are stored in the muscles and liver as glycogen. This glycogen is stored fuel, and — although it depends on our exercise intensity and our training — once it runs out, we reach fatigue: we hit that wall where exercising more seems impossible. Ahlborg confirmed that there was a positive correlation between the amount of glycogen stored in our muscles and endurance performance: the more glycogen (i.e. fuel in the tank), the longer an athlete could run. Ahlborg also found that intentionally depleting glycogen stores by drastically limiting carbohydrate intake and then performing exhaustive exercise made it possible to store “extra” glycogen when large amounts of carbohydrates were added back into the diet. Originally referred to as glycogen supercompensation, “carbohydrate loading” was coined as a strategy to maximize the amount of glycogen a body could store in order to delay fatigue and promote endurance among athletes. Carb loading clearly worked. Pasta producers everywhere rejoiced. However, many athletes had trouble following Ahlborg’s protocol; they — unsurprisingly — found it exhausting and too stressful to follow before an important event. Some even experienced gastrointestinal distress. Do You Need To Carb Load? Sorry to everyone who uses a tournament, or even practice, as an excuse to indulge in multiple bowls of pasta on a Friday night: for an ultimate player, carb loading is probably unnecessary. Yes, research has shown that when athletes run out of glycogen, they fatigue quickly; and yes, research has also shown that carb loading effectively increases glycogen stores. But, ultimate players — unlike marathon runners, triathletes, long-distance swimmers, or cyclists — do not continuously exercise for 90 minutes or longer without access to food. Those are the parameters under which carbohydrate loading has been shown to be effective. Elite ultimate players probably have access to a variety of fuel sources basically every five minutes;3 regardless, they are able to constantly add immediate fuel to the tank. Given that, carbohydrate loading may even slow you down. For individuals who aren’t used to eating large amounts of carbohydrates, it can cause bloating and other gastrointestinal problems. It also adds non-functional weight: each gram of glycogen stored in your body is bound to 3-4 grams of water, which means that you can easily gain more than a few pounds after a night of carb loading. Those extra pounds, which are mostly water, might even negate the benefits of carb loading in the first place. As with everything nutrition-related, it’s important to figure out what works for you. Carbohydrate requirements differ based on a number of factors including weight, exercise intensity and duration, what an athlete normally eats (lower or higher carb diet? ), and when an athlete last ate. For most ultimate players, sufficient glycogen stores — not extremely high stores, which would result from carb loading — should be more than enough to promote optimal performance, especially given our ability to refuel during and between games. General sports nutrition recommendations currently suggest 5-8 grams of carbohydrates per kilogram of body weight per day — that’s 320-520 grams of carbs for a 140-lb person — although athletes training at extremely high volumes may benefit from slightly higher amounts (8-10 g/kg body weight). It’s also important to note that, as with most nutrition literature, these studies were performed in a lab with a small number of (usually male) cyclists. Those settings aren’t anywhere close to what the majority of ultimate players live in: we have jobs and families and social events that would make adhering to a carb loading regimen, or at least the depletion phases, very difficult. So next time a teammate offers to host a pre-tournament dinner, maybe pass on the second helping of pasta. As always, just eat more vegetables instead. Comments on "The Truth Behind Carb Loading"